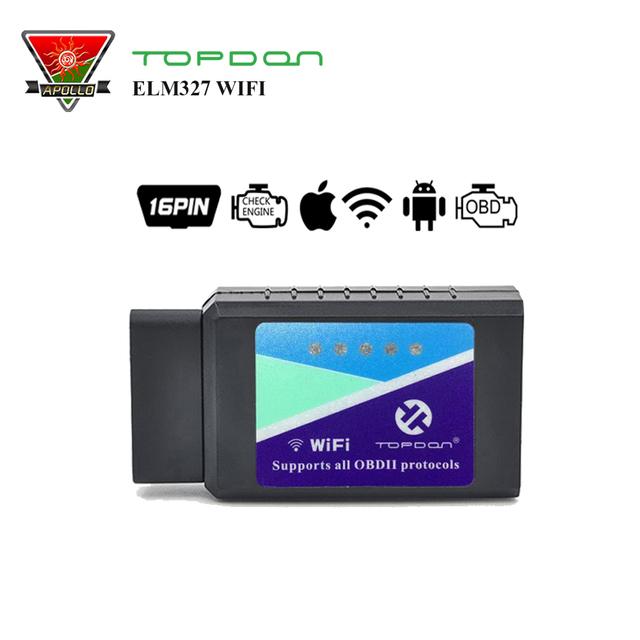 The link includs 4 optionals of ELM327 wifi version, please choose the right one you need! 2. Higher Quality. Say NO to poor quality , Save your time and money! Q1: What is the version of the ELM327? Q2: What is difference between V1.5 and V2.1 ? and How can I check it ? Q3: Does this Automotive Scaner support the diesel cars or trucks ? A3: ELM327 does not support the diesel vehicles nor trucks. Q4: Does your ELM327 Come with any softwares? A4: Yes, All ELM327 with software in the CD.Becuase CD disk is easily damaged on the shipping way, if any problem, please contact us, we will send you via Email. Q5: Does it support other languages? When you connect elm327 to the phone, then it just supports English only, 12 kinds of languages are supported while it is conected with PC. Works with OBD-II compliant vehicles. Software included in CD for Smartphone, PC and iOS (for iPhone, iPad, iTouch, Mac). Q6: How to see if your vehicle is comliant with OBD II? A6: Please pop the hood and look for a sticker named "VEHICLE EMISSION CONTORL INFORMATION". NOTE: Even though it compatible with most cars, but different regions support the vehicle OBD2 protocol at different times, or some car is spercial design, so it may not compatible with some cars which do not support OBD2 protocol.